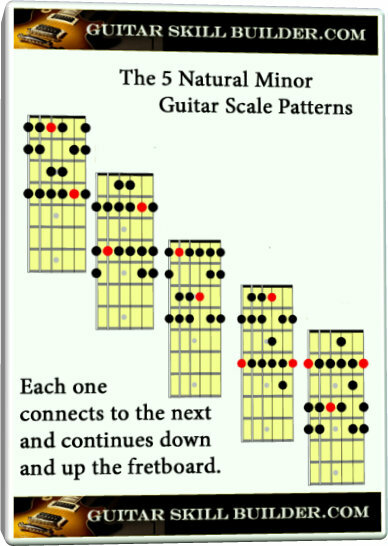 The Natural Minor Guitar scale has inspired some of the most amazingly successful and long lived songs on this planet. Here are some of them. Impressive list to say the least. So this is one scale that you might consider worth your time. If this is your style and it resonates with you. If you feel inspired, get out your metronome and take these patterns one at a time and start slow. Build up your speed on them one at a time. Keep going on them until you are dreaming them. Listen to other people that are playing them well and do that just before you go to bed. This is how the brain works. It works in the background, you don't have to work hard, it will do the work for you. You can't really give it to much of a deadline on creating something amazing but eventually, if you expect it to, it will come in a flash. And when it does record it. 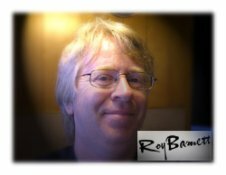 I've included on this page links to a couple of files that will come in handy to make this one your own. The Guitar Pro file will help you get this scale to be natural to you. It increases in speed to help you gradually get up to speed. You will need a copy of Guitar Pro or Tux guitar to play it back. Guitar Pro will give you the best sounding play back. So have fun with this, I hope you produce a hit that will last the test of time. I suggest making a Guitar Pro file of your own to really get in touch with how these scales and modes work. When you hear it repeated over and over, and them play along you create neuro pathways that make the connections in your brain interact with everything you have ever learned to come up with original music. Making music should not be a hard thing. Effort is needed in the beginning but eventually it will flow. The natural minor scale is used in Pop, Blues, Heavy Metal, Country and Fusion. I don't see how you can go wrong learning this one. Click here for a free high quality printable PDF file of this scale. 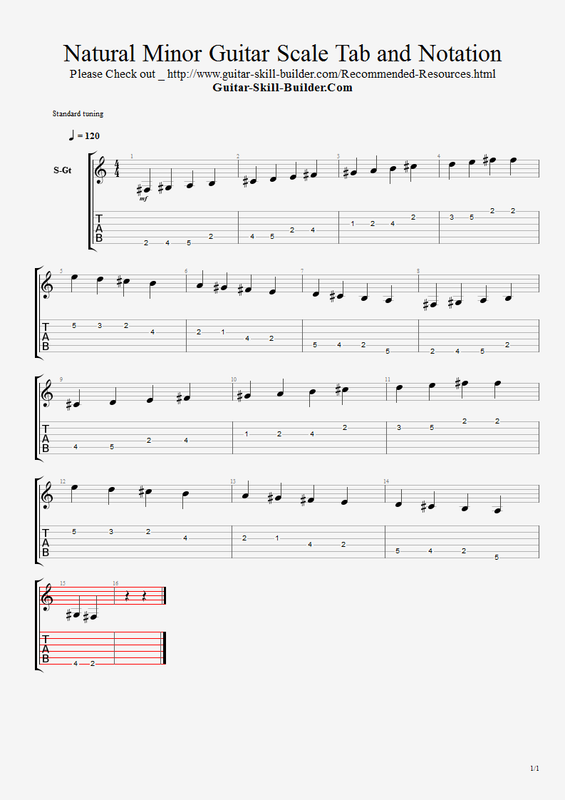 Click here for a free playable guitar pro file of this scale.